Beautiful handmade sterling silver earrings with dark grey almost black (Kuro) crystals. The crystals are dangling on one cm small hoops. The small hoops are easy to open and close due to the leverage. You don’t have to look and poke for the hole. Just pull them open, click and go. The small hoops fit perfectly in your ear. The unique sterling casts of the crystals are designed with a goldsmith. Making this our own jewelry design, beautifully lasered with our name on the side. Also available in a long version. If you are looking for a whole set, we also have necklaces and bracelets. 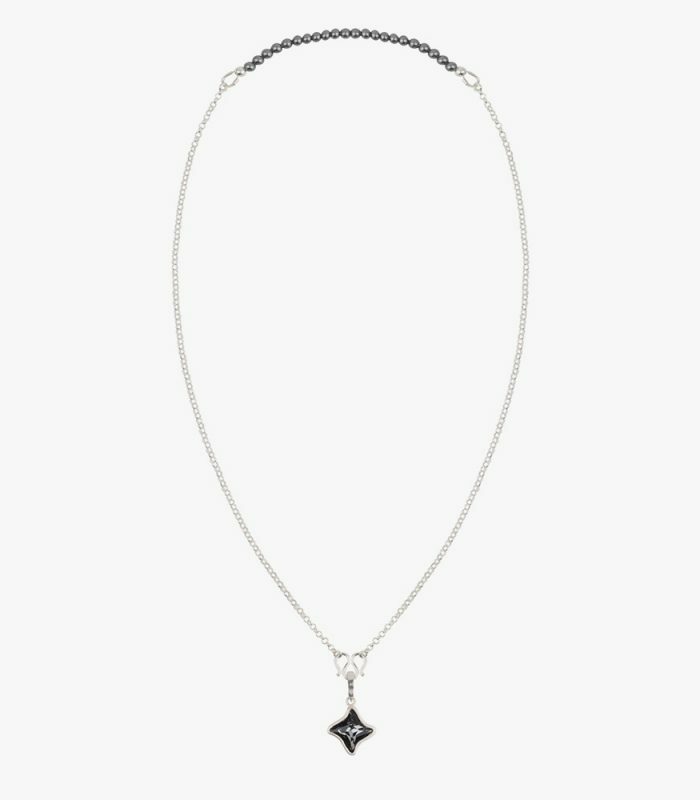 Beautiful handmade sterling silver necklace with a dark grey almost black (Kuro) crystal pendant, an Asian M hook clasp and pearls on an elastic string. 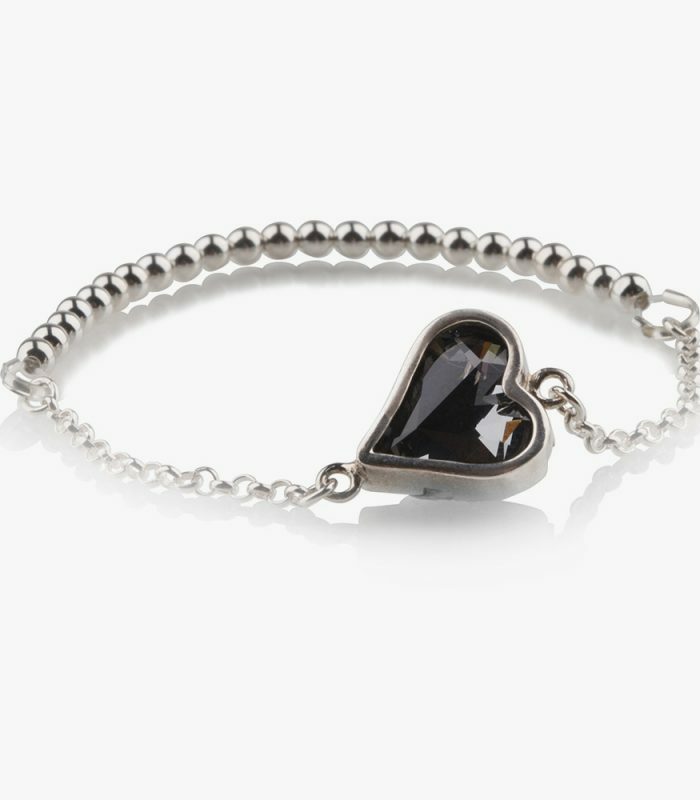 Beautiful handmade sterling silver bracelet with a dark grey almost black (Kuro) crystal and pearls on an elastic string. Easy to wear, due to the elastic string there isn’t a clasp needed. Put it on and ready to go, no struggle with a clasp and no help needed to put it on. If the bracelet turns on your wrist then the pearls show beautifully. 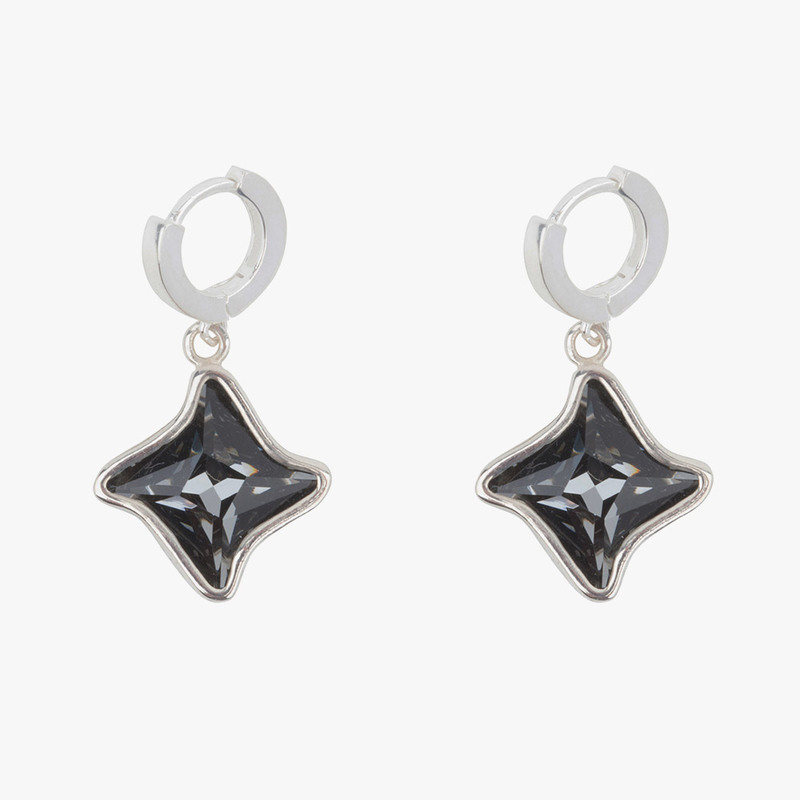 Beautiful handmade sterling silver earrings with dark grey almost black (Kuro) crystals. 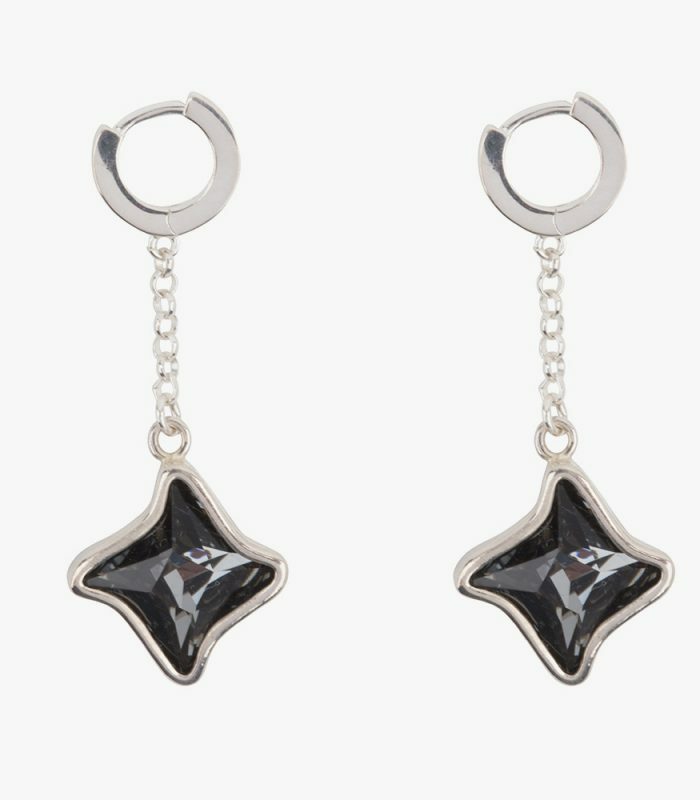 The crystals are dangling on a sterling silver chain attached to one cm small hoops. 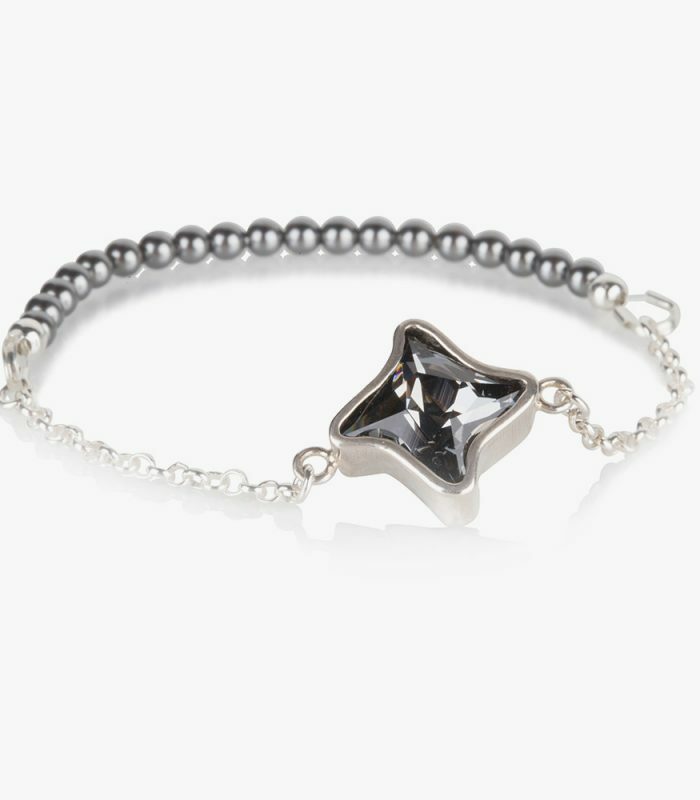 Beautiful handmade sterling silver bracelet with a dark grey almost black (Kuro) crystal and silver beads on an elastic string. Easy to wear, due to the elastic string there isn’t a clasp needed. Put it on and ready to go, no struggle with a clasp and no help needed to put it on. If the bracelet turns on your wrist then the silver beads show beautifully. Beautiful handmade sterling silver earrings with white (Shiro) crystals. The crystals are dangling on a sterling silver chain attached to one cm small hoops. 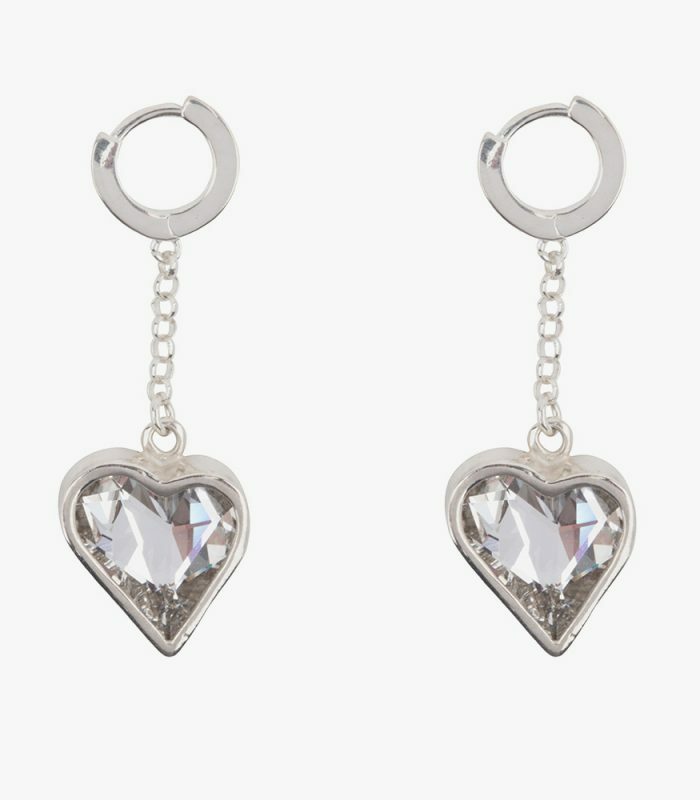 Beautiful handmade sterling silver earrings with white (Shiro) crystals. 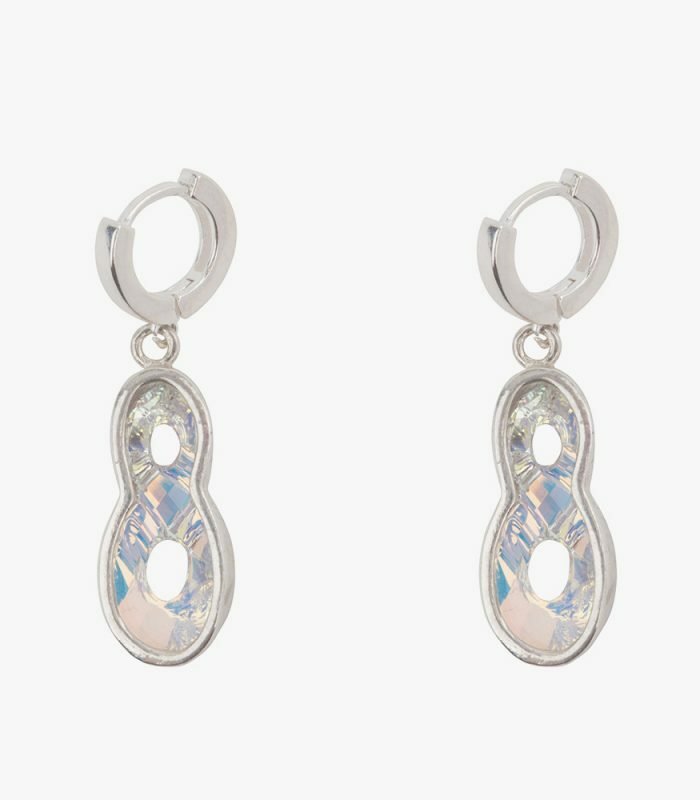 The crystals are dangling on one cm small hoops.